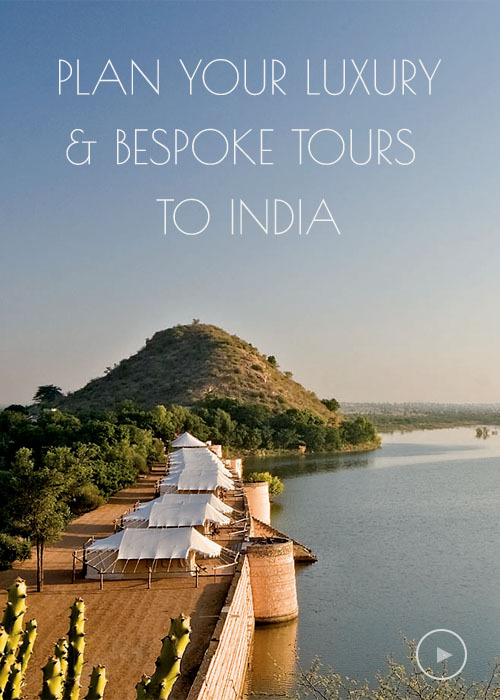 Rajasthan - the land of kings is about the story of warriors and their chivalry ,romance ,glory and tragedy in fairytale proportions.This tour would give you an experience of staying in the Palace Hotels like a Maharaja. Depart for Mandawa and check in at Hotel. Mandawa is a town in Jhunjhunu district of Rajasthan in India. It is part of Shekhawati region. The City of Mandawa was made a thikana in the mid of 18th century by the Bhojraj ji Kasubsub clan of Shekhawati Rajputs. About the origin of this town there have been earlier references to Mandu Jat as founder of the Mandawa village. Mandwa Fort : - The fort of Mandawa was founded in the 18th century. Thakur Nawal Singh, son of Shardul Singh, founded the fort in vikram samvat 1812 (1755 AD). The fort dominates the town with a painted arched gateway adorned with Lord Krishna and his cows. Built as per a medieval theme, the castle of Mandawa is adorned with beautiful frescoes. Rooms in the palace are decorated with paintings of Lord Krishna, exquisite carvings and amazing mirror work. The palace's Durbar Hall houses a number of antiques and paintings. Nawalgarh was founded by Thakur Nawal Singh Ji Bahadur (Shekhawat) in 1737 AD at the village site of Rohili. Nawalgarh was encircled all around by the high Parkota (walls) comprising of four Pols (gates) in different directions, namely Agoona Darwaja, Bawadi Darwaja (in north), Mandi Darwaja and Nansa Darwaja, each gate has iron doors. Bala Kila Fort situated in the center of the Thikana and Fatehgarh Fort situated outside of the Parkota as an Out Post. The market place of the town and layout of the havelis indicates that the city was well planned before construction. Nawalgarh was considered to be the most modern towns of Shekhawati. Nawalgarh – the town where the finest of the Shekhavati’s frescoes can be seen. Its Havelis still bear witness to the rich & prosperous Marwari era of the 19th century. Worth visiting are The Aath Haveli complex, Anandilal Poddar Haveli, Bansidhar Bhagat Haveli & Chokhani Haveli. Continue your drive to Bikaner and check in at Hotel. Depart for Jaisalmer and check in at Hotel. Depart for Jodhpur and check in at Hotel. Depart for Pushkar en route visiting Eklingi, Nagda & Nathdwara Temple. Continue your drive to Pushkar and check in at Hotel. And other places of Interest. The Dargāh Sharīf of Khwāja Muin-ud-din Chishti is situated at the foot of the Tārāgaṛh hill, and consists of several white marble buildings arranged around two courtyards, including a massive gate donated by the Nizam of Hyderabad, a mosque donated by the Mughal emperor Shah Jahan, the Akbarī Mosque, and the domed tomb of the saint. The Emperor Akbar, with his queen, used to come here by foot on pilgrimage from Agra every year in observance of a vow he had made when praying for a son. The large pillars, erected at intervals of two miles (3 km) the whole way between Agra and Ajmer, marking the daily halting places of the royal pilgrim, are still extant. Continue your drive to Agra & check in at Hotel. in time to connect your onward to next destination.